Many people dream of vacationing at an exotic destination someday. Perhaps someplace with sandy white beaches and endless clear skies, nestled against a backdrop of mountains. But how many consider what it took to actually build that luxury resort? Not the actual price tag, but the number of lives affected, the individuals uprooted from their homes and source of livelihoods, and displaced to more marginal lands or bodies of water? Scores of fishing communities call coastlines their home across the globe. However, when international, multi-billion-dollar industries like tourism and commercial fishing enterprises seize these lands from the generations of people who have inhabited them, they displace not only populations, but also affect entire ecosystems—and by extension, the longevity of our food system. 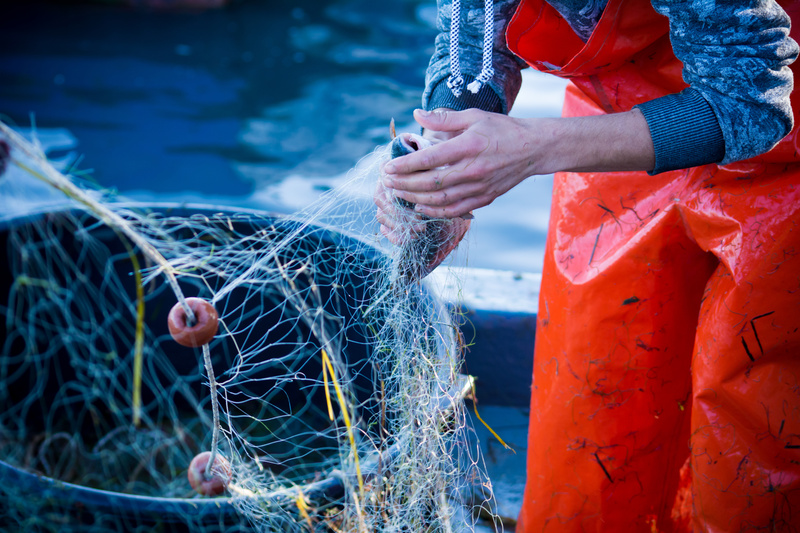 As a way to include small-scale fisheries and fishing communities in the discourse on sustainable food practices, the Sustainable Agriculture & Food Systems Funders (SAFSF) recently hosted a webinar presenting on the various initiatives available to support the leadership of fisherfolk communities both in the U.S. and abroad. Niaz Dorry, Coordinating Director of the Northwest Atlantic Marine Alliance (NAMA), and Saulo Araujo, the Global Movements Program Director at WhyHunger, acted as co-facilitators. They helped to frame the narrative and shed some light on the countless challenges artisanal fisherfolk face worldwide. About 11 years ago, Dorry began coordinating the work of NAMA, a fishermen-led organization representing about 450,000 fishing families primarily throughout the Americas. She argues that just as it matters who tills the soil to harvest our produce, who catches or raises the fish we eat should also be of significance. Claiming a “dead fish is a dead fish” and that “it doesn’t matter how it was killed,” means the same to Dorry as if one were to say that a “dead pig is a dead pig, it doesn’t matter how it was raised, how it was cared for, how it was killed ad where it ends up going after it was killed.” When we look at building food justice, we must consider that who fishes, and what and how, are issues of utmost social, environmental, and economic importance. In 2017, Dorry trekked some thousand miles across rural America in order to learn more about the difficulties fishing communities must navigate. During her two-month excursion she discovered that the struggles of the fishermen she met along the way were not unlike those that farmers and farmworkers also experience. Fisherfolk frequently feel pressured to remain competitive in the global economy. But operating under such conditions in order to survive begs the question of for whom, precisely, these fishing and farming communities are supposed to be working. While proponents of industrialization argue that scaling up their model across the globe is the only way we’ll be able to feed a growing population, local communities disagree. They state that rapid consolidation of the fishing industry is not only killing their livelihoods but the oceans and waterways and marine life itself. “How much longer will we be able to feed our communities if we’re forced to overfish or compete for ocean access with the corporations whose deep pockets easily grease the wheels of policy making?” Who fishes matters when it comes to sustaining the health of the waterways and the communities that depend on the fish for income and food. Nadine Nembhard, Secretary General of the Coordinating Committee of the World Forum of Fisher Peoples (WFFP) stresses that fishing communities are, in fact, undergoing a crisis. She explored the diverse, yet at once strikingly similar phenomena occurring primarily throughout the Global South among fisherfolk being exploited in a myriad of ways. In South Africa, for instance, by releasing a new fishing policy in 2005 based upon the principle of individual quotas, the government effectively snatched the rights of 50,000 small-scale fisher people. In contrast to the open access privileges enjoyed by most largescale fishing corporations, IFQs or ITQs as they’re commonly referred, allocate only a specified portion of the total annual fish catch to individuals, thereby restricting their ability to fish freely. After communities lodged numerous complaints on the grounds that the new policy was unconstitutional, the case made it all the way to the Equality Court. Two arduous years of legal battles later, the court ordered a revision of the mandate. A new small-scale fishing policy, founded upon the principle of granting individuals their fishing rights, was at last passed in 2012. Investors grabbed a quarter of a major peninsula for luxury resorts, consequently evicting thousands of fishing families. Having been denied access to their fishing grounds by new trespassing regulations, these people had nowhere left to go but further inland. The area was home to approximately 65,000 people, one in every five of whom were small-scale fishermen. For them, fishing was their way of life. It was the trade they knew and had done for generations, providing vital food to everyone in their communities. The lack of access to natural and monetary resources hinders the ability of both small-scale fisheries and farms alike to operate justly and successfully. Furthermore, the presence of other industries may additionally impede their continued success. Fossil fuel extraction, for example, can wreak havoc on marine ecosystems and waterways directly beneath Indigenous fishing grounds. Climate and man-made disasters are another culprit that often go unacknowledged, yet they can also severely affect small-scale fishing communities. Ormezita Barbosa, a member of the Movement of Artisanal Fisherwomen and Fishermen (MPP), currently fights for the preservation of the land rights of the Brazilian people impacted by the recent dam collapse. The dam held back harmful waste that, when released, destroyed the surrounding environment. The chemical sludge ran downstream and through tributaries, affecting the 60,000 families who once fished in the now-toxic waters. Vale, the company responsible for the disaster, offered approximately $3,000 per family member; however, this payout will only cover a year’s worth of monthly minimum wages and is not enough to compensate the expenses for all of the damages incurred. For many families, beginning anew seems an almost impossible feat, even before taking into account the long-term repercussions of the vast ecological impact that have yet to be properly examined. Throughout much of the Global North and South, the increasing rate of ocean grabbing in recent years by powerful, large-scale economic activities such as industrial fishing and extractive industries further endangers fishing communities by cutting off access to water and other related essential resources for the primary purpose of generating profit. Proponents of such neoliberal policies and reforms disregard the fact that these practices threaten the health of entire marine ecosystems, and cannot sustain the life and future of our fish and seafood. Relief efforts for these struggling communities can only go so far. People need their fishing rights back, their land back, and their resources back, so they can feed themselves. Self-sustenance and food sovereignty are not new ideals, although their benefits have been lauded primarily within the context of small-scale farming. But according to the Food and Agricultural Organization, artisanal fisheries are responsible for about two-thirds of global fish catches destined for human consumption, and more than 800 million worldwide depend upon these businesses in a number of ways. They also contribute significantly to reducing poverty and promoting food security and nutrition, equitable development, and sustainable resource utilization. But when local communities are forced from their homes, they struggle to provide sufficient food for even themselves and their families. They also often bear the brunt of the social and ecological costs of large-scale industrial activities. Having the means to afford sufficient, nutritious, and culturally acceptable food that is produced sustainably is a fundamental human right. Essential to this prerogative is encouraging the necessary conservation efforts that foster self-sufficiency and build food sovereignty. Water is a critical resource upon which all life on Earth depends and must be protected. The discourse on who catches the fish we eat has implications on the health of our oceans, fishing communities, and the food system as a whole. Evidence has shown that diversity and the scale of fisheries play critical roles in the viability of local economies. Ensuring security for fishing communities worldwide should therefore comprise a significant portion of funding and development efforts. Social movements involving and led by fisherfolk are the surest way to compel governments and corporations to adopt and enforce sustainable policies, while also spreading responsible fishing practices that protect the health of our waterways and oceans. Addressing the root causes of such problems is the only way that any changes implemented will have longstanding impact.